This Harry Potter A5 tin sign is perfect for adding a little magic to any door or wall. 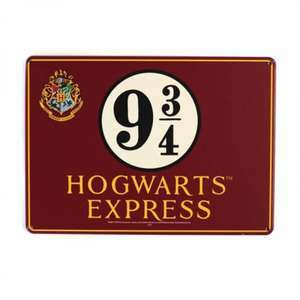 Go to Platform 9 3/4 and board the Hogwarts Express to get to Hogwarts School of Witchcraft and Wizardry. A perfect addition to any Harry Potter display.